Tether System is NHRA accepted for the new NHRA Collector Tether rule for 2014 requiring all slip-on Header Collectors for all classes in the NHRA to be tethered. 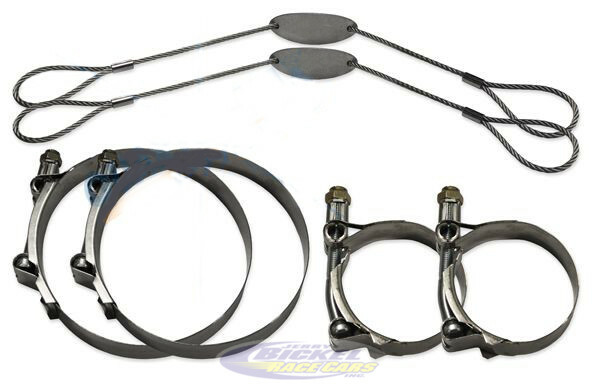 Stainless Steel Tethers available in 3 different lengths (12”, 16”, or 20”). Specify Tube and Collector size. Kit includes two Tethers, one pair.